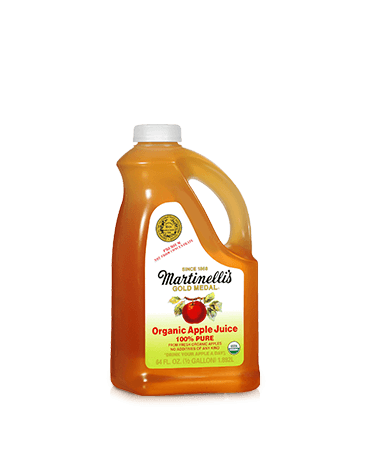 Organic Apple Juice 64 fl. oz. Plastic jug is easy to hold and pour! 100% apple juice from fresh U.S. organically grown apples, not from concentrate, with no additives of any kind. Pasteurized 100% carbonated apple juice from U.S. grown fresh apples, vitamin C.